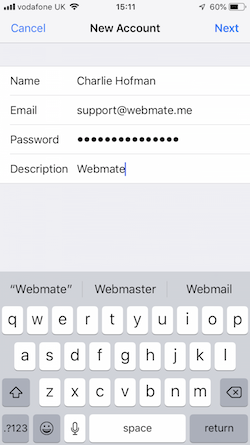 To set up your WebMate email address on your iPhone simply go to Passwords & Accounts (or Mail, Contacts and Calendars on older iOS versions) that can be found in Settings and add an Email Account. 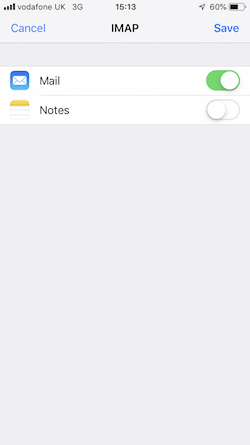 Proceed by filling in the onscreen prompts. Remember to included the correct SMTP outgoing and incoming server settings and your full email address. Follow the guide below to ensure everything gets set perfectly. Proceed by going to Passwords and Accounts. 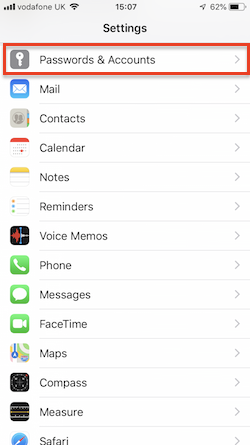 On older iOS devices it may say Mail, Contacts and Calendars. 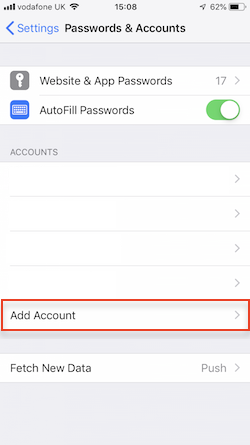 You will be offered a list of account types. 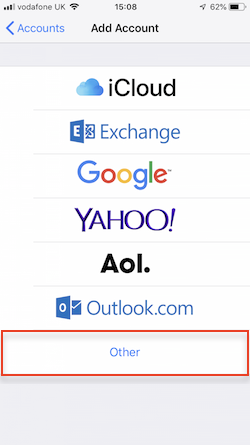 Add your new email account details. Name Your name as you'd like it to appear in emails. Your domain name or a word to describe this account. 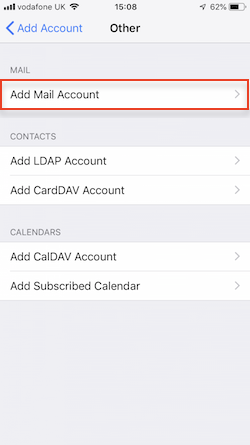 We recommend using Account Type IMAP as this will sync across all of your devices, you'll be able to add this email account to as many devices as you like. If you know that you will only accessing this email account through this one computer you can choose POP. Once you have entered the above details, click onto Next and your settings will verify. Once the account has been verified, click Save. That's it! 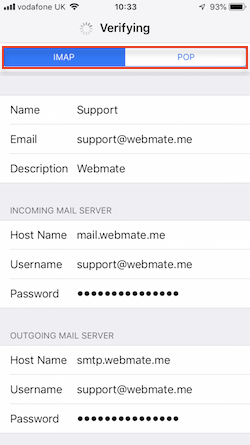 You have now added your WebMate email address to your iPhone.